Yes, outdoor weddings are lovely, but not if rain suddenly appears!! 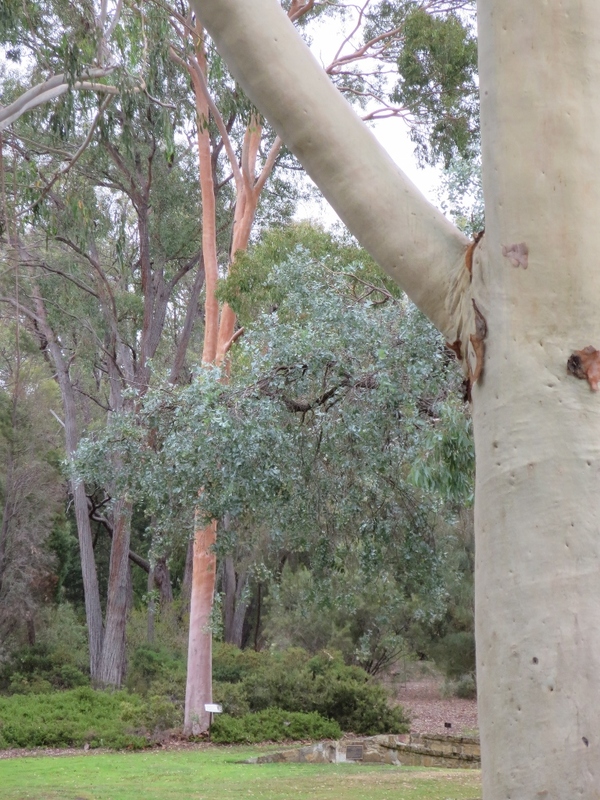 The Eucalypts look quite ghostly! Fabulous trees though. I often think some of the white barked Eucalypts look ghostly, especially at sunset. 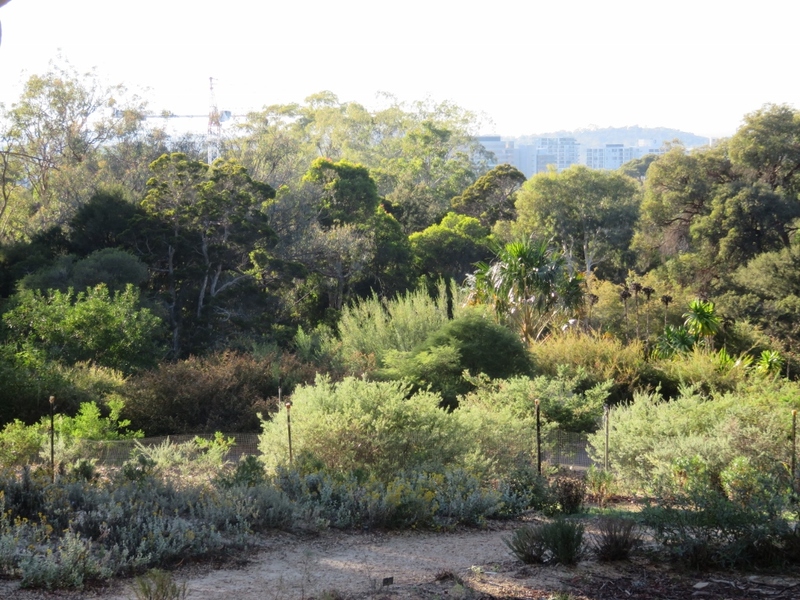 What a wonderful tour of Canberra’s Botanic Gardens. The vegetation and wildlife is so different from what I’m familiar with in Canada. 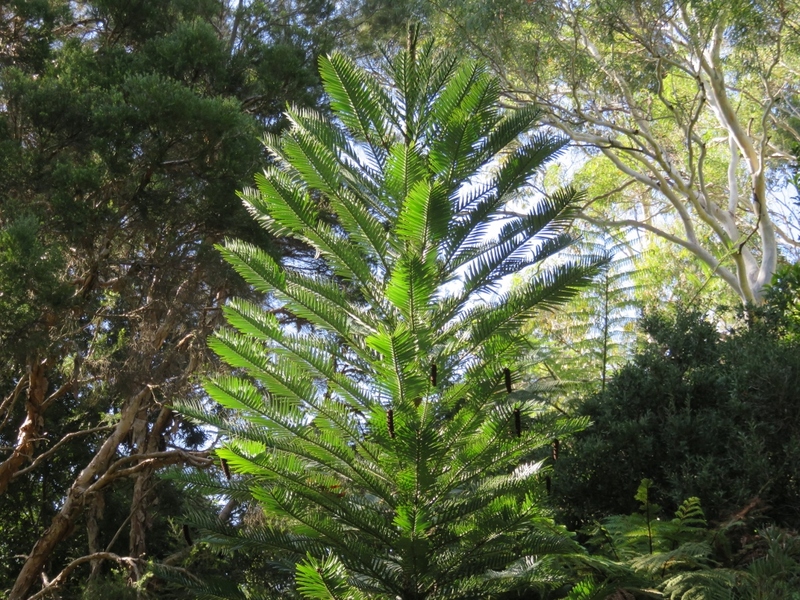 Very interesting about the Wollemi Pine. It’s nice to know there are some success stories of species that manage to make a comeback from the edge of extinction. Glad you enjoyed the tour! I would love to visit Canada, as you say, our two countries are so different, some parts of Canada look absolutely stunning. Blogs certainly give us all a chance to do a virtual tour! Thanks for the delightful tour. 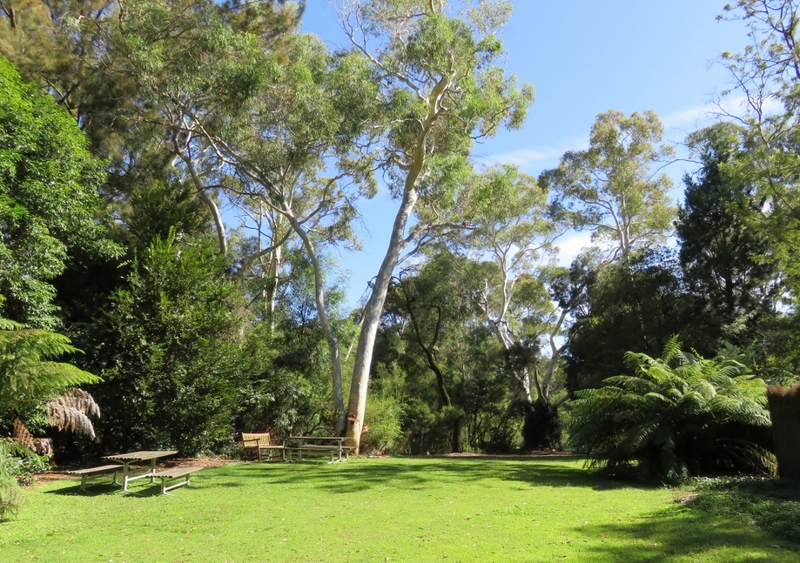 The gum trees are wonderful. 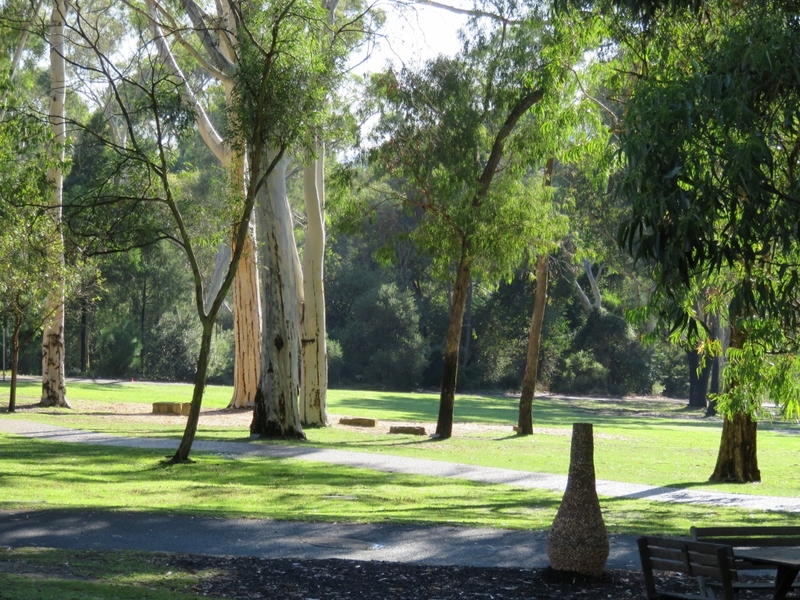 Glad you liked it, yes the gum trees are amazing! Your quote gave me a chuckle! 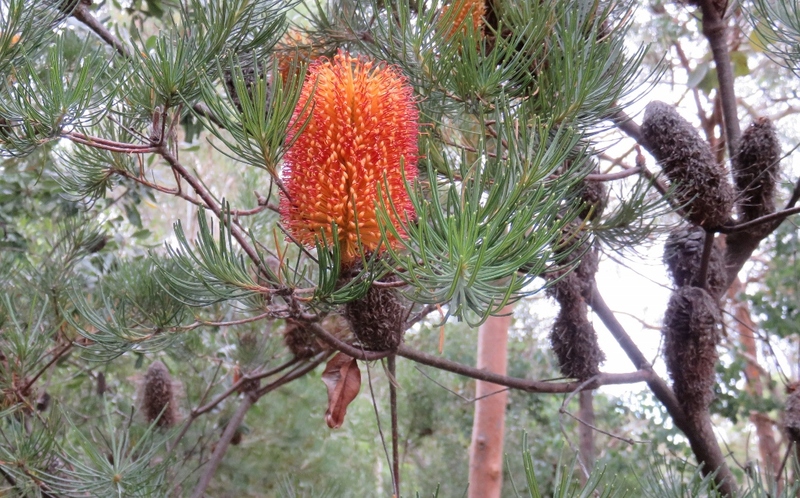 However, my brother, who travels through Africa frequently, says that gum trees are a real problem in South Africa, and other countries in Africa. 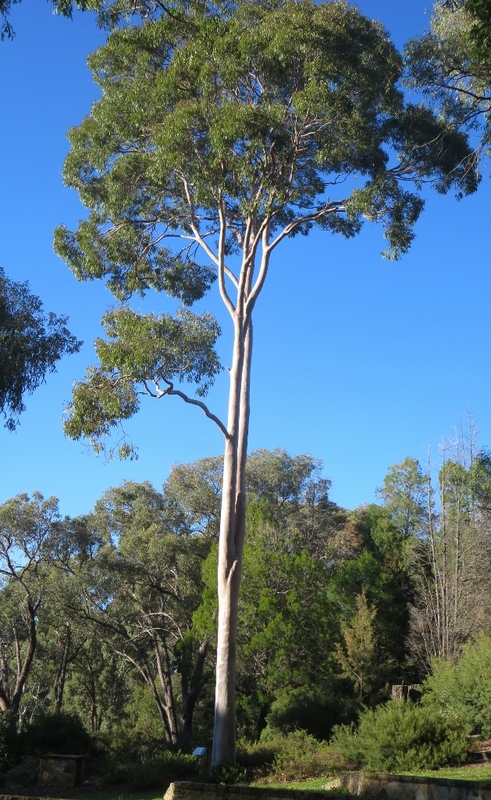 A few years ago, when we were on our way to St Lucia we saw plenty of scrawny looking gum trees ….far too many! 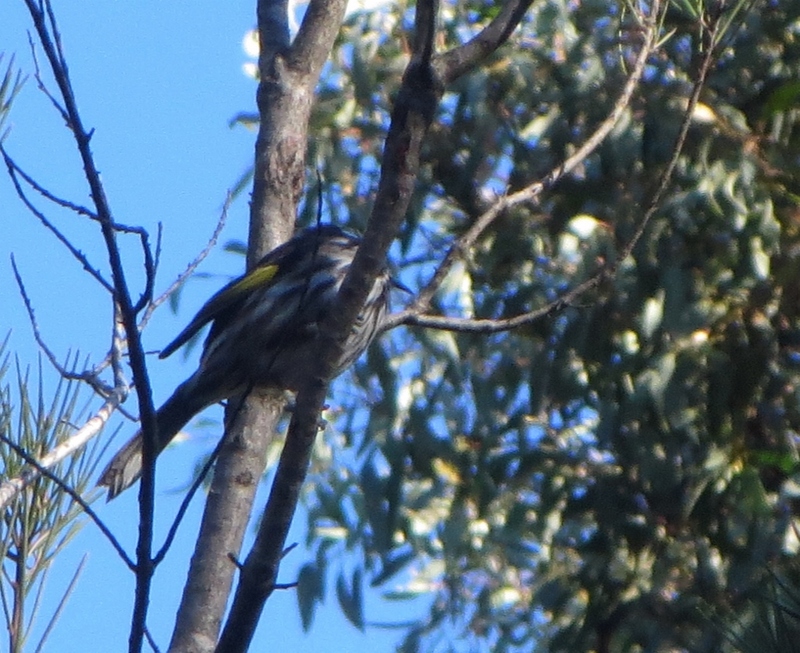 Here in Canberra there is always debate about having gum trees in suburbia, as they can drop big branches without warning…but on the other hand, they are the reason we have such active birdlife….. You’ve made me think there is topic for a post in there! Thanks for the comments. Canberra certainly has a beautiful heart! That is a lovely way to put it…I agree! 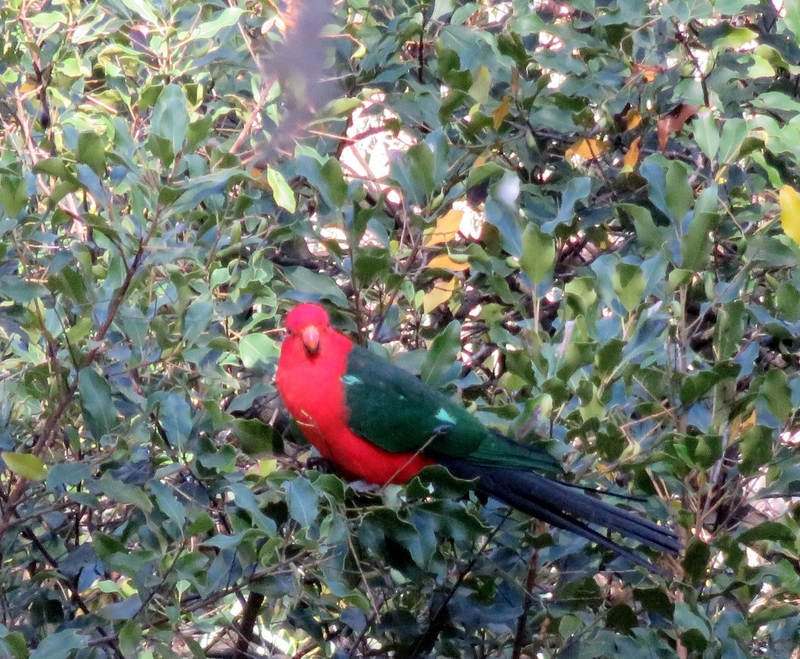 Thanks Sarah, I’m finding that blogs are a great way to look at landscapes and wildlife all over the world. 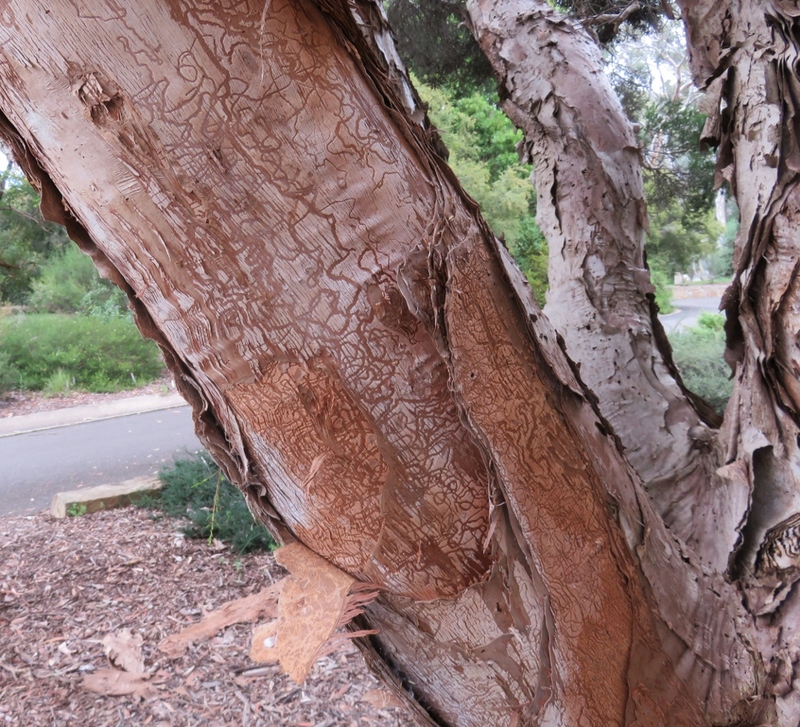 I loved the fact that the Canberra Botanic Gardens specialized in Australian natives, especially the gum tree. I was amazed at how many different species there are. I have invited you to join the “7 day nature photos challenge” Gerrie. I know you love taking nature photos. Hope you can find the time to fit it in. The challenge is to post nature photos for 7 consecutive days, then invite another blogger to join in each day. Thanks Pauline, I’d love to do that, but have a lot on at the moment, later in the month would be better… Is there a time limit on it? 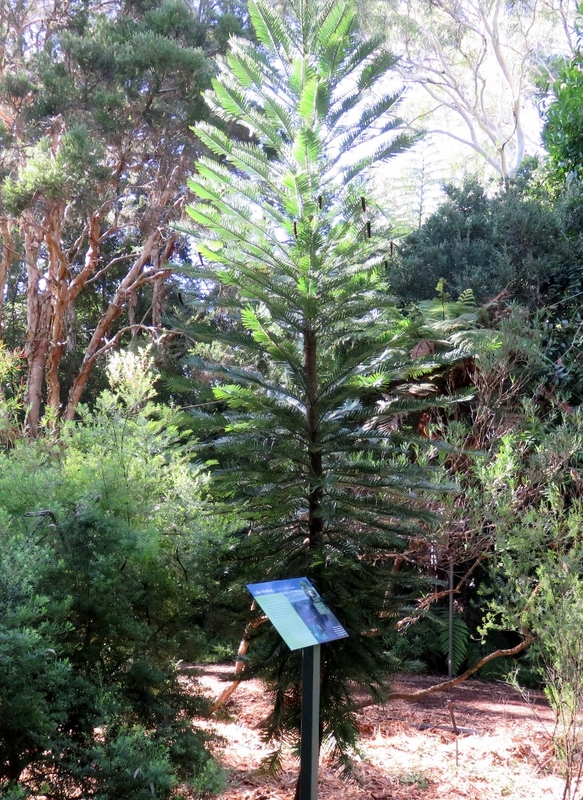 That Wolemi pine is fascinating – it could have pride of place in a prehistoric garden. 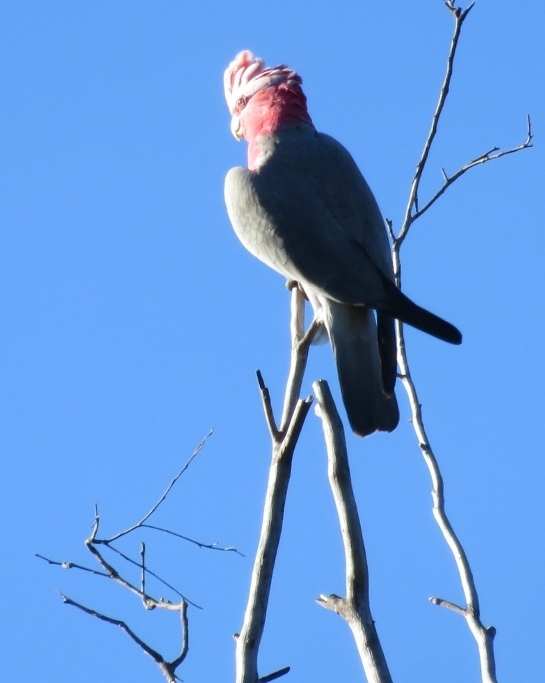 Love the King Parrot and the Galah! Yes, the Wollimi Pine story is interesting isn’t it? …I’m just off to make Judy’s lamb and lentils dish….blogs are very helpful in all sorts of ways! Yes! I felt a bit like hugging the Apple gum tree. 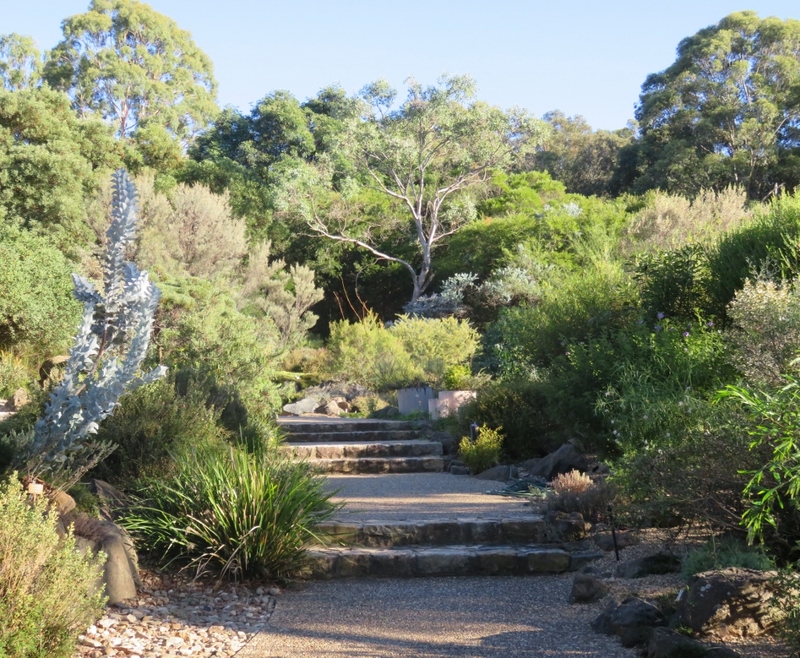 It was lovely to be able to put some photos of our walks in the Gardens into a post, glad you liked it.